We had our First Tech Competition today and it was extremely nerve-wracking. Firstly, the day before competition, we noticed that the design of the robot did not match up with the programming. The reason being is because when the robot moves during the tele-op phase, the manipulator drags on the floor and impedes the robot from accurately moving. Another reason is because the manipulator moves backwards a little too much and the heaviness of the robot’s back causes it to fall backwards. In conclusion, our team as a whole decided to take off the manipulator for this competition and focus on defending. Another problem arose when the two female driver, Raina and I, were not comfortable with the controllers because during practice, the battery kept dying. 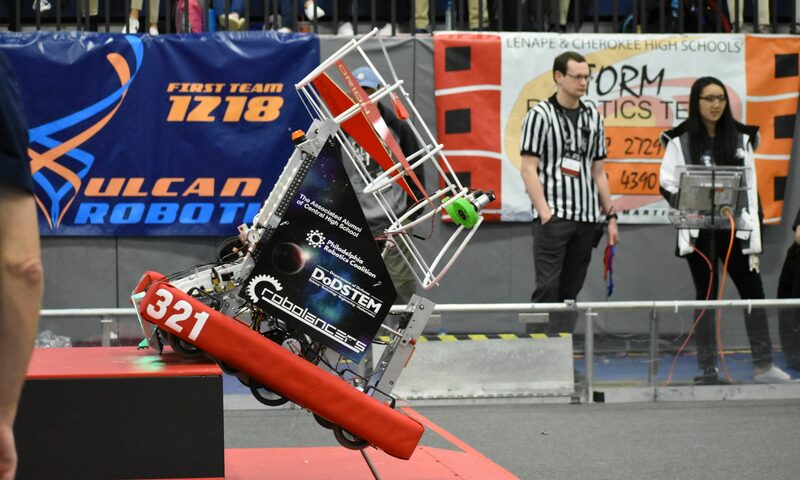 However, we were too excited in the moment and neglected the fact that our robot’s back was too heavy. And so, we tipped over when we moved backwards on the ramp. 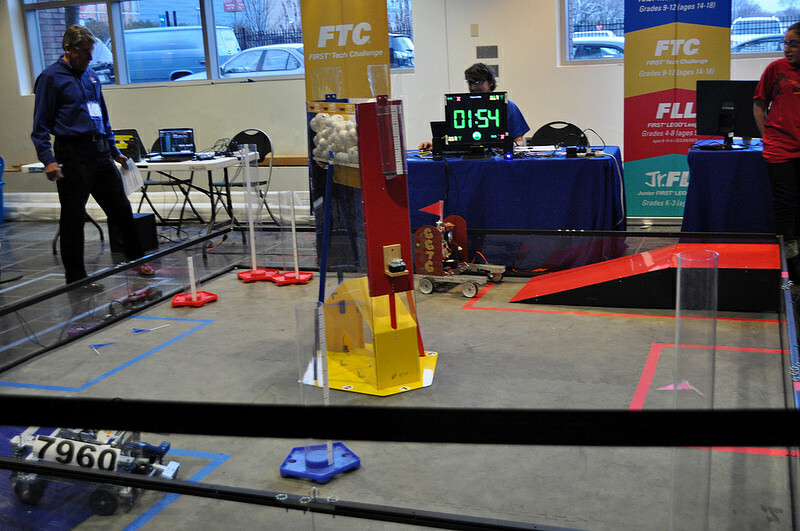 Not only that, we were also penalized for touching the rolling goal’s tube during the autonomous phase. Aside from the exciting and nerve-wracking atmosphere of our First Tech competition, a lot of problems were identified.The things we need to work on includes our autonomous code, balancing the weight of the robot, charging the batteries (which is a silly mistake), and utilizing our practice field so the drivers can get comfortable. There were many regretful things about the competition, knowing that we can definitely do better, but overall, it was a meaningful experience where we could find our mistakes and work on it.